I can’t be the only collector here. Some that I’m proud to own are Styx’s pieces of eight, the Monkees self titled, and Johnny Cash’s Ring of Fire compilation. I, uh, have Wonderful Wonderful by the Killers on record. Pieces of Eight is pretty good, I have a bunch of Styx records. I have a modest collection of about 130. Still feels pretty small though. Added a little more since then but at the moment my friend has them all while I'm living overseas. 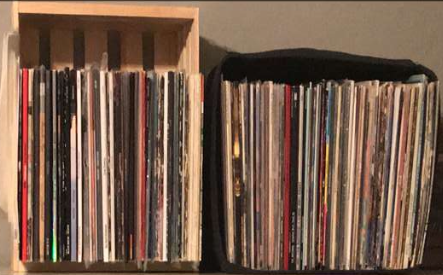 When I was a teenager I would go to the thrift store and find ones for usually 1 or 2 bucks, then my friend and I started traveling to a record store farther away and my budget started going up to 10. Now that I had a job and stuff I was buying brand new copies for $20+. Well, anyways, point being, it never hurts to start building up your collection with used ones. Once again, an old pressing is not the same as original. Just sayin. Actual first issues can go for a lot more than $5. Look up the code on the side. That will be more indicative.